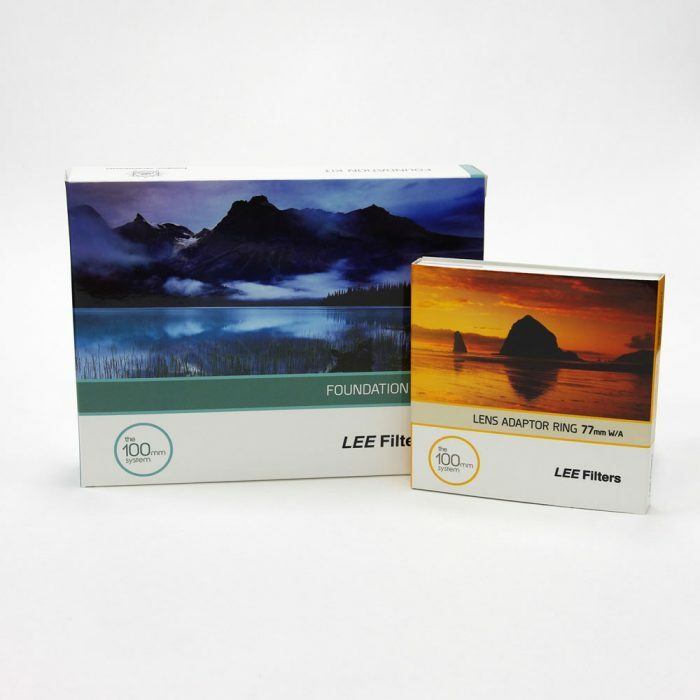 This Lee DVD ‘Landscape’ in Mind is a feature length documentary film that follows leading landscape photographer Joe Cornish on a photographic road trip across the north of England. Joe makes a journey from coast to coast across the north of England tracing a path from the industrial mouth of the river Tees, through the stark and beautiful limestone scenery of the Yorkshire Dales, to the Lake District, arguably England’s most romantic and spectacular landscape. Along the way Joe reveals the aesthetic and physical challenges these beautiful landscapes offer a photographer. Along the way Joe reveals the different technical and aesthetic challenges produced by each location, and shows how the constrasts between man’s activity and industry and the beauty of the landscape can be used to create great images. 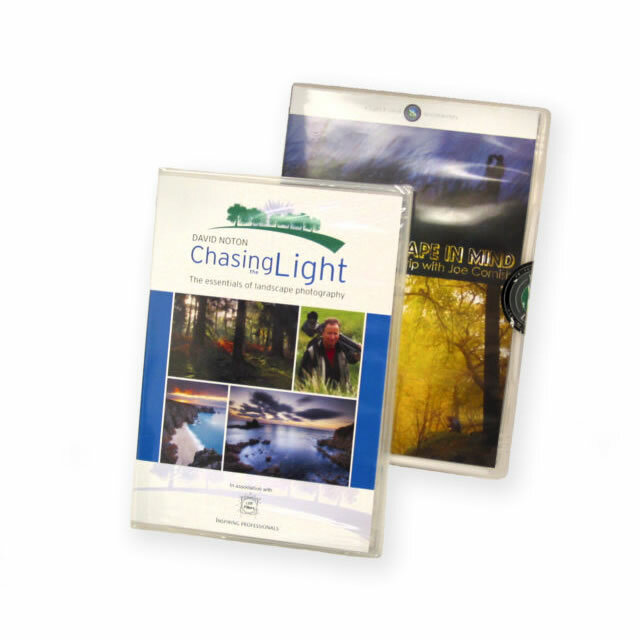 Chasing the Light is an inspirational and educational DVD exploring the essentials of landscape photography. Acclaimed international photographer David Noton examines the development of a photographic vision with practical hands on demonstrations, tuition, insights and examples at a number of inspiring locations and dramatic settings from a misty dawn at Glastonbury to the cliffs of Lands End and the autumnal glens of the New Forest. David Noton Chasing the Light DVD Chasing the Light follows David Noton in search of magical moments when the landscape is transformed by a fleeting shaft of dawn light. The skills a photographer needs to capture these moments are above all a photographic vision, an uncanny ability to be in the right place at the right time, and a solid core of sound practical expertise, both in the field and behind the camera. Chasing the Light examines the elements of a photographer’s vision, the challenges of working with natural light, and how to get the best from the equipment. In-the-field tutorials are combined with practical observations, stories from behind the lens and inspirational ruminations on past photographic shoots. The DVD is currently available in a PAL UK format and is approximately 90 minutes long. 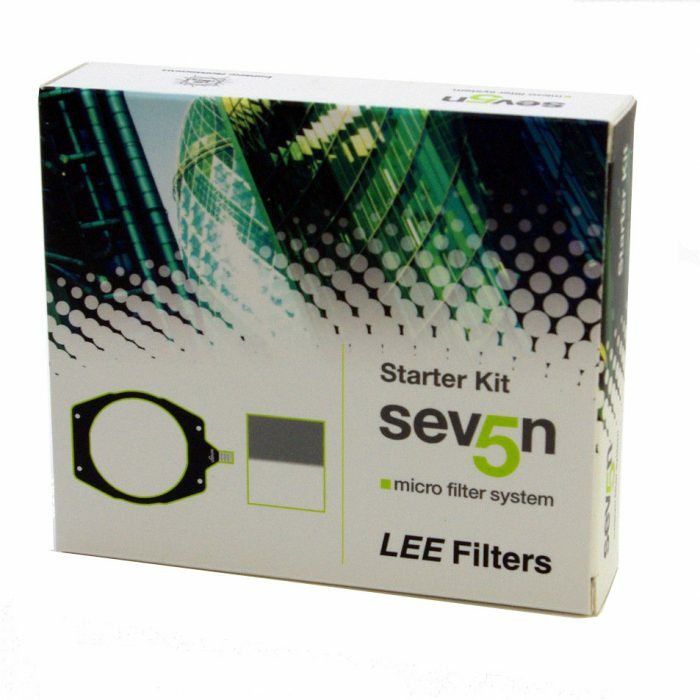 The Lee Seven5 Starter Kit has been specifically designed to fit today’s Compact System Cameras. 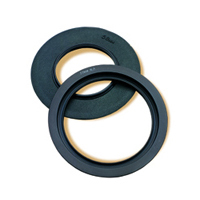 The Lee Filters wide-angle adapter ring is suitable for use with wide-angle lenses. It differs from the standard adaptor ring by sitting closer to the front element of the camera's lens. As a result, the likelihood of vignetting is dramatically reduced. 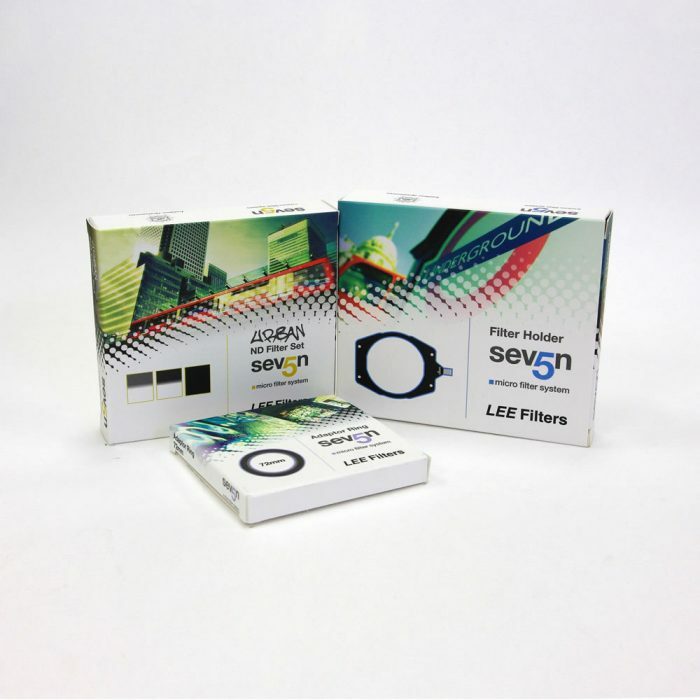 Supplied with: Lee Seven5 Filter Holder & your choice of Lee Seven5 Neutral Density Set (Out Of Town/Seascape/Urban/Graduated Hard Edge/Graduated Soft Edge).